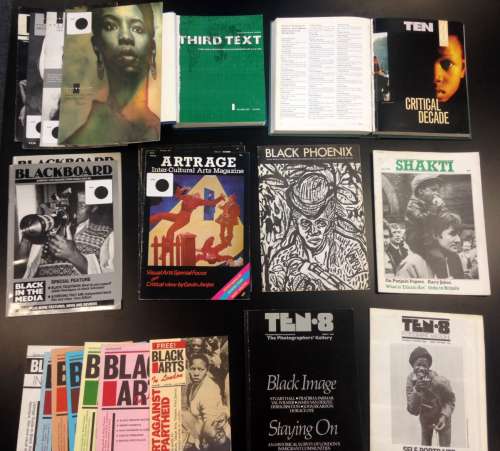 A selection of early Black arts journals from the collection. The Stuart Hall Library resource includes a collection of periodicals focusing on international visual arts, cultural theory, identity, race and activism. The library collection has 45 current journal titles as well as back-runs of over 100 ceased journal titles. For the most accurate information on our holdings, search the library catalogue for journal titles.